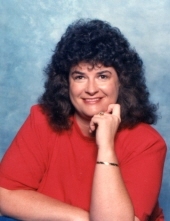 Judy Lynn Harvey age 62 of Garrett passed away from this life on Sunday March 24th, 2019 at Baptist Health Hospital in Corbin, Kentucky. Judy was born on Febrauray 13, 1957 in Floyd County a daughter to the late Charles Douglas Hyden and Margaret Douglas Hughes Hyden. Judy was a retired RA Director, a loving mother, daughter, sister, aunt and friend. "Email Address" would like to share the life celebration of Judy Lynn Harvey. Click on the "link" to go to share a favorite memory or leave a condolence message for the family.